This was a normal week for Microsoft: nothing too crazy, yet issues could be found on all four burners. We were kept busy, but our hair never ignited. We love weeks like this. Before we dive into the issues, as always we reccommend that for a full tour de force of the week, you dig through the archives. 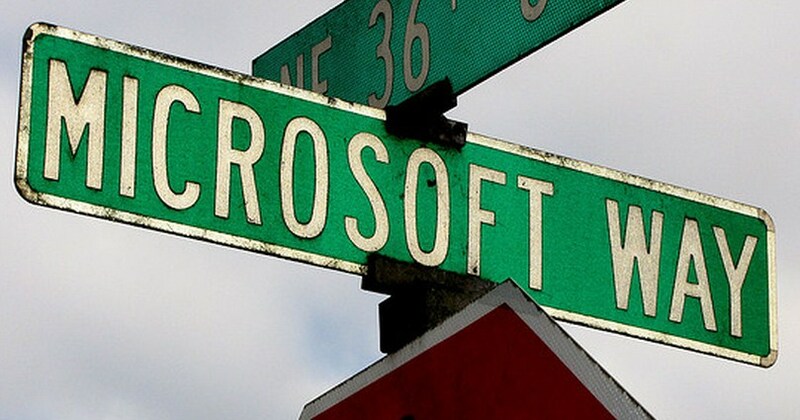 Also, be sure that you are following TNW Microsoft on both Twitter, and Facebook, and let’s dig into the news. As it turns out, one of the biggest guns behind Metro is a Mac user, at least part of the time. That allowed us to write the jokey headline “Like Windows 8′s ‘Metro’ design? Thank this Mac user.” Yes people got mad, and yes we laughed. Obviously, Windows 8 is an operating system built on 99.99% Windows machines, but how could we resist? In other news, Windows Phone 7.5 app porting to Windows 8 is possible. One developer managed to reuse 90% of his code. Hot damn, we say. This will become even easier when Windows Phone 8 ‘Apollo’ comes out. In other lands, Fujitsu thinks that Windows 8 is coming in Q4. Make of that what you will. Finally, Firefox is building a version of itself to mesh with the Metro design theme of Windows 8, showing that the big guns are getting ready for the big drop. As a test of sorts, I used Bing for a full week, integrated into Chrome. I found it to be more than functional. However, I found that I would still give Google search a small edge over the Microsoft tool, but did note that that could be due to myself have a pro-Google bias built through years of use (what you use, you learn, so I have Google-Fu, if you will). It was a varied and interesting week for Windows Phone, so we shall condense and operate in a quick manner: You can now buy a Nokia Lumia 800, but only in an expensive package at a Microsoft store; The Lumia 800 is headed for China, perhaps in March; New details about Tango have leaked, and we have the full scoop; A new Windows Phone Facebook app update is out, which was much needed; Finally, Nokia heats AT&T, it hearts it real good. What’s fun about this, that Hotmail has greatly shored up its spam front, is that a lack of spam was an early Gmail selling point. Perhaps Hotmail can turn its ship around, time will tell. That’s all for this week. Now, make a martini!